The millennial history of a famous city hides disturbing secrets and questions without answers... Get to know the myths that grew up within the walls of Verona! The itinerary “Mysterious Verona - the Town and its myths” was created for students, but is also offered to all visitors who wish to know the Old part of Verona by a more enigmatic perspective. In Verona several myths and historical anecdotes are intertwined, defining a very thin border between reality and fiction. 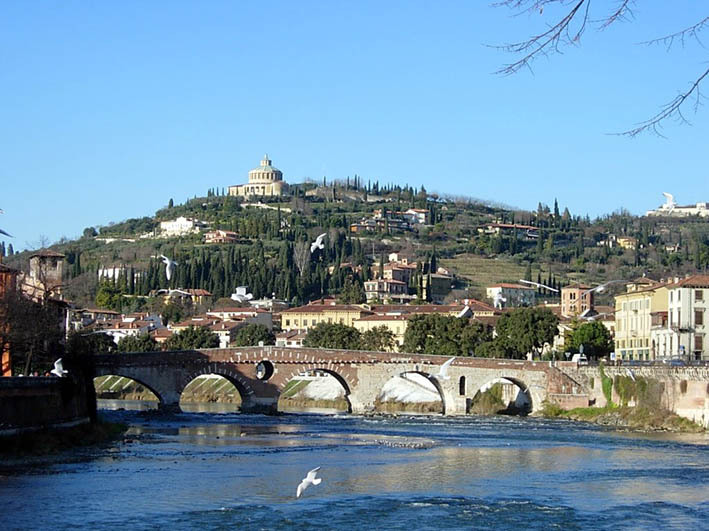 Walking through the city we will focus on the most important monuments to learn about their history through interesting anecdotes: the Squares, Castelvecchio, the Scaligero Bridge, Gavi Arch, Juliet's House, the Stone Bridge and the Roman Theatre will be told through the legends set in Verona. What is the mystery of the San Pietro’s hill? How did CanGrande della Scala die? And Dante's ancestors are still in Verona? This and much more will be revealed in the splendid frame of Verona Mysterious Tour.